Working with an ambitious and dynamic learning strategy to boost the capabilities of Kuwait General Administration of Customs and the business partners, to meet the role of customs in the 21st century and help them take responsibility and ownership for their own development as well as to create and manage their own capacity development program. Recognizing the importance of knowledge and education in the field of customs, we design a tailored programs based on the customs science to provide the customs and its stakeholders with an international level of scientific customs knowledge and to uphold the international bar for customs excellence . By developing standardized curriculums internationally recognized through partnerships with reputable academic institutes, we serve the customs operations and its associate operations, with continuous and ongoing modernized training modules which in effect satisfies the WCO and WTO needs. Establishment of Global Clearinghouse Institute (GCSI) as a strategic tool in order to fulfill human capacity building which falls under the fifth program of GCS – KGAC contract structure, with mission of following the PICARD, INCU and WCO set of the common standards to introduce standard customs curricula. - The development of benchmarks which can be developed into job profiles for customs recruitment. - The development of benchmarks against the current internal training can be measured. - The development of standard against which academic development can be designed or produced. We offer the services through our talented resources, who manage all training activities starting with identifying the customer's needs analysis form the diagnostic phase to programs implementation,while monitoring to ensure that entire processes are aligned with the quality standard excellent service. In addition, we have MOUs with high ranking universities and international organizations to cooperate in the field of Instructors, researches, training programs implementation and consultation services. Design and develop competitive training plans for Kuwait Customs and business stakeholders. We design,develop and implement continuous training programs for customs employees and business stakeholders to ensure their performance efficiency, by regularly updating their knowledge using modern techniques and technologies in managing customs business as per the WCO learning Matrix Training programs inputs. 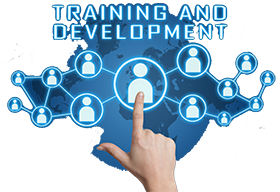 Customs Training Center was founded to deliver Training and Development Programs in customs business, safety & security,Computer Science,legal sciences,financial science, …………. etc. 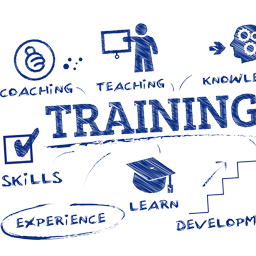 Implementation of extensive training programs and stimulating in line with the latest teaching and learning ways to help the employees with expertise to transfer their experience and knowledge to new staff. We developed researches and scientific papers that include customs Science and cases studies that could help the customs science researchers and employees enhance and improve their knowledge, in addition to availability of manuals and handout in various customs science topics.